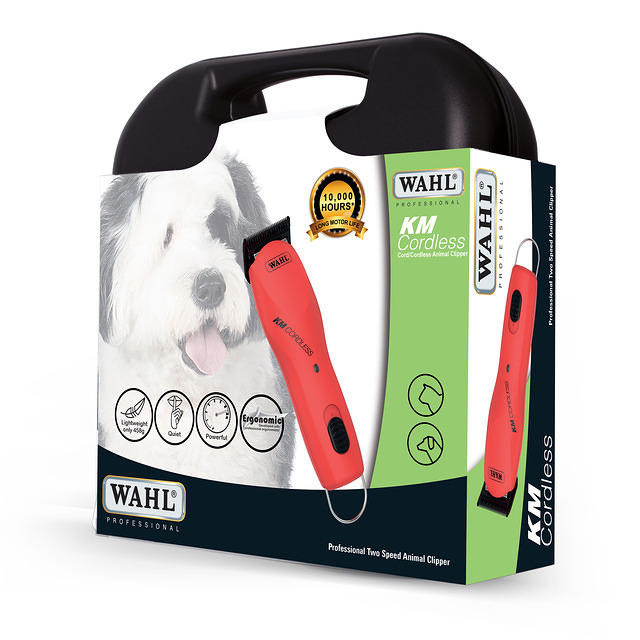 The KM Cordless is a brand new top quality cordless clipper from Wahl, now you have a choice of cordless clippers. 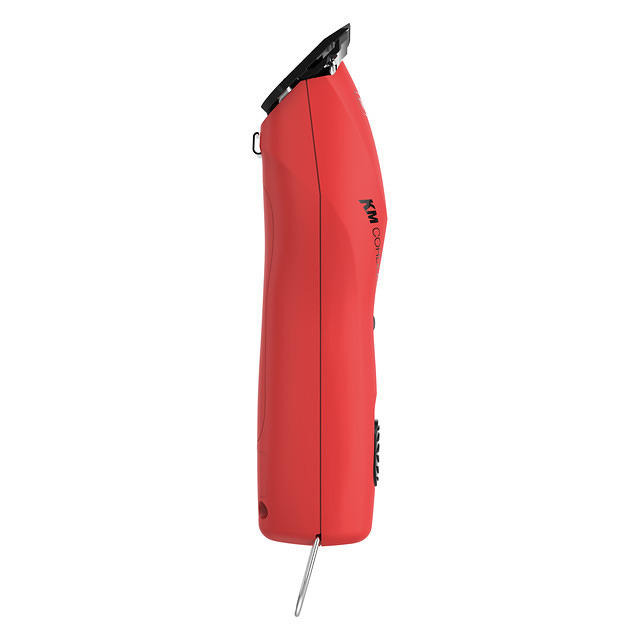 The clipper comes in a Poppy Red colour and features 2 speed setting to give extra power when required, for those tougher jobs, while allow the speed to be lowered for regular clipping and longer battery life. In the grooming salon the lack of a cord allows more freedom of movement around the table without the tie of a cable, however, if required the cable can be attached to extend clipping time all day. 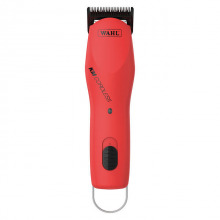 For grooming competitions or showing this clipper can be charged up and be used away from home, often a cordless clipper is a requirement for a grooming competition. These are probably more than a single pet owner would require, however, for a pet owner looking for a cordless clipper to clip their own dog, this would be a top choice. The KM Cordless has an excellent set of features help with any clipping job. The constant speed control automatically delivers more power and torque when required, this then delivers optimal performance on tough coats, while at the same time running cool and balanced, with low vibration. This helps to reduce the possibility of wrist fatigue. The 2 speed settings also allow the right speed to be selected depending on the job. Battery and charging times are excellent with this clipper. The lithium ion batter gives up to 120 minutes run time from a 60 minute charge, a quick 10 minute charge will give 15 minutes of use. Unlike most other cordless clippers in this class though, if you run out of charge, not to worry, the cord can be attached and clipping can continue as a corded clipper. All in all an excellent choice of cordless clipper, get yours today. 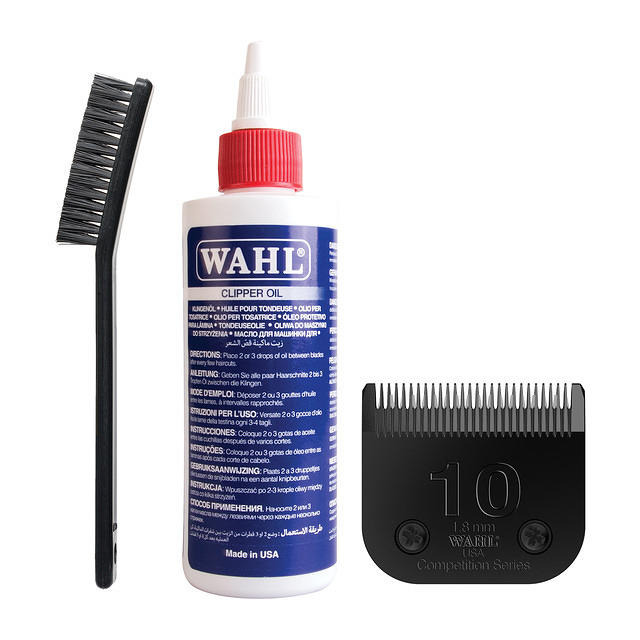 - Kit includes: Cordless Clipper, #10 Ultimate Competition blade, cleaning brush & blade oil, all packed in a hard case.